Find programming that is personalized to your household and open up your favorite apps without changing the input. Press on your remote to bring up the main menu, and select My Picks. 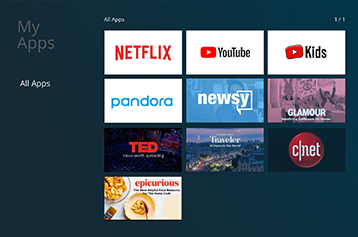 Here you'll find recently started and recorded programs, favorite On Demand programming and what's trending on YouTube making it easier for you to discover your new favorites. Continue Watching: Enables you to resume playback of On Demand and Cloud DVR programming. Recently Recorded: Displays programming that was recently recorded. 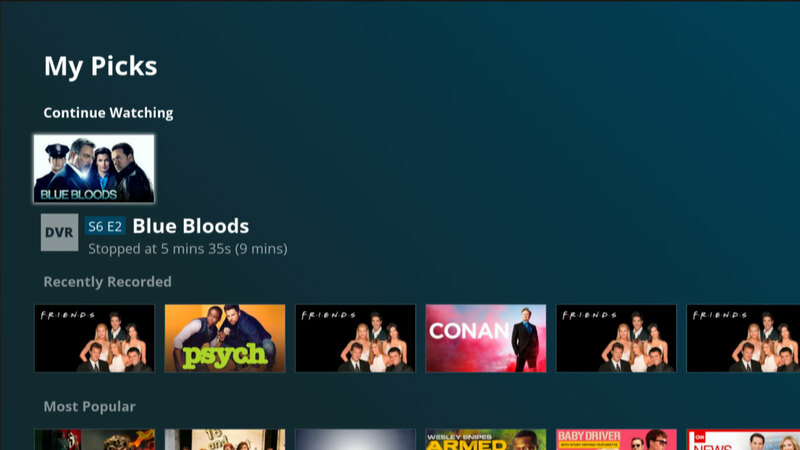 Favorites On Demand: Shortcut to the On Demand movies and TV shows you have selected as Favorites. Trending On YouTube: Displays videos that are currently trending on YouTube. Discover a world of new content with popular streaming apps right on your TV. No need to change inputs. Just press to bring up the main menu and select Apps. To open an App, simply highlight the app you wish to use, and press SELECT. We're always adding new apps, so check back often to see what's new.